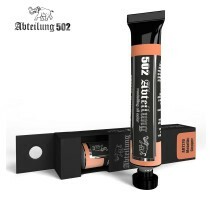 The Abteilung 502 Oils are designed for you to really get the best out of your weathering effects. They are the only range of oil paints specifically designed for modellers, with a range of colours you won’t find if you are just using artists oils. T..
ABT113 Fast Dry Thinner Thinner medium for oil colours specially designed to improve and shorten the drying time of the washes, filters and glazes. It accelerates drying of any oil colours and enamel paints in the market. It doesn´t change or m..
ABT115 Liquid Mask Liquid mask is quite popular among modelers for protecting parts that don’t need to be painted. 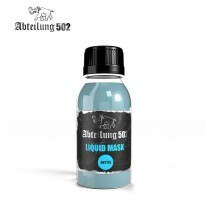 Our liquid mask has a characteristic blue tone and sweet smell of vanilla, is not aggressive and will not cause damage even on cl..